I fell head-over-heels for bestselling author J.T. Ellison’s 2017 standalone thriller LIE TO ME last summer—so you can imagine my excitement when a copy of her newest release, TEAR ME APART, landed on my doorstep. 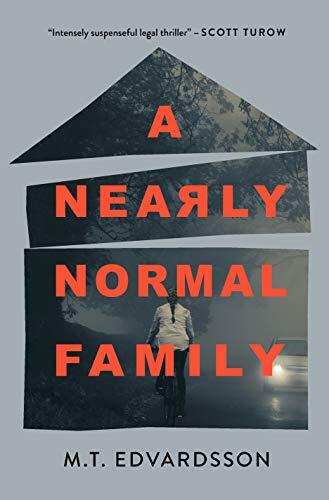 There’s something about Ellison’s writing that just seems to work for me; though my exposure to her writing has been relatively limited compared to the extensive bibliography she has under her belt, I’m now two-for-two on loving her binge-worthy brand of psychological suspense. Though totally distinct stories, LIE TO ME and TEAR ME APART both feature a deep-dive into the personal lives of individuals working in unique professions: in LIE TO ME, the protagonists are authors, and in TEAR ME APART, the story’s central character is a professional skier and Olympic hopeful. Ellison has a knack for using these unique backdrops as springboards for truly gripping suspense stories—the page-turning fun of her writing is rivaled by the fascinating worlds in which these stories take place. TEAR ME APART is a more-than-satisfying follow-up to 2017’s LIE TO ME, and an excellent choice for readers looking to sneak in another “summer read” before the season ends. I’d expect nothing less from Ellison than a book this fun to devour. Now, let's be honest: after how much I loved Ellison’s LIE TO ME, I would have read TEAR ME APART no matter what—but my enthusiasm for this new release ratcheted up a few notches when I learned exactly what this book was about. One of my favorite elements of LIE TO ME was its exploration of the inner lives of authors, and I was equally thrilled to see Ellison honing in on another fascinating profession in TEAR ME APART: in this case, the world of professional athletes. The protagonist of TEAR ME APART is a young woman who is an incredibly talented, driven skier - when we meet her, she is at a competition that will help determine whether or not she makes the U.S. Olympic team. I don’t know the first thing about skiing, but I didn’t need to in order to enjoy this unique and compelling backdrop for a psychological suspense story—and you won’t need to, either. TEAR ME APART starts with an incredibly tense scene: our protagonist is at the top of a mountain, preparing herself for the race of her career. It’s a good kind of tension, the kind that’s laden with the excitement of a huge moment unfolding before our eyes. Things quickly take a turn for the worse, though, and readers will find that very same tension morphing into something akin to dread as the story progresses. Ellison does a fantastic job priming us for a heart-pounding read with the book’s very first scene—and this won’t be the last time she puts readers on the edge of their seats in TEAR ME APART, either. There is so much to be said for an author who can take a simple premise - a family with serious secrets - and turns it into something that’s accessible and unique, and that’s exactly what Ellison does in TEAR ME APART. Though pieces of this story may seem familiar at face-value, there’s truly nothing typical about how Ellison’s latest offering develops. Take her story’s central characters, for example. The variety and quality of characters central to TEAR ME APART is a perfect snapshot of just what makes Ellison’s work so fresh and fun to read. There are a number of characters central to this story, but the core three are all women, and they are all women with varied, thoughtfully-constructed backstories. First and foremost, we have the young woman this story revolves around: a competitive skier, a young woman whose motivation and dedication to her passion are far beyond her years. Then we have Mindy’s mother: a woman whose complexities are bared over the course of the novel, and whose storyline quickly became one of my favorites for all its dark corners. Rounding out this trio is Mindy’s aunt: a scientist who works in forensics for the Colorado Bureau of Investigation. If you’re finding that your TBR is lacking in crime novels centering around women, TEAR ME APART is here to fix that—and it’s here to fix that in a rich, vivid, genuinely compassionate way. There are a number of difficult themes explored in this book, including self-harm and suicide, but Ellison crafts each character and the ordeals they face with sensitivity and heart. If character-driven suspense is your cup of tea, TEAR ME APART will be, too. Within this story’s present-day mystery, Ellison also weaves a mesmerizing series of flashbacks. Told through letters exchanged by two mysterious women, these flashbacks tell a heartbreaking story of two individuals haunted by their personal demons—and they tell a (perhaps counterintuitively) uplifting story of women supporting each other through their darkness, too. I had so many theories about how these flashbacks would eventually come to be incorporated into the story’s central plot, but despite all my sleuthing, my theories wound up being only partly correct - and the outcome was even better than I could have anticipated. And even if you do figure out what Ellison is doing with these letters, it isn’t so much the “what” as the “why” that makes them valuable to the story. Raw and affecting on their own, once incorporated into the bigger picture of TEAR ME APART, these letters become a genuinely heartbreaking and tragic piece of a larger puzzle. Consider them yet another way that Ellison adds texture and depth to a story that remains - even with all its moving parts - accessible and easy to fly through. No psychological suspense novel would be complete without that little something extra that makes us want to keep flipping the pages, and TEAR ME APART has that something in spades. My one little qualifier would be that this book does take a bit of time at the outset to establish the foundation to this book’s central question: if Mindy’s parents aren’t her biological parents, to whom does she actually belong? After the immediate tension of the story’s opening scenes, Ellison takes her foot off the gas to lay the foundation for the rest of her suspense novel. It took me 75 or so pages to get into the swing of the story again after that initial lull—but when this story takes off, it really takes off. The payoff for that scene-setting? A twisty, gripping mystery with a finale that beautifully ties together clues left for the reader for the duration of the story. If that’s not the most satisfying kind of suspense novel, I just don’t know what is.